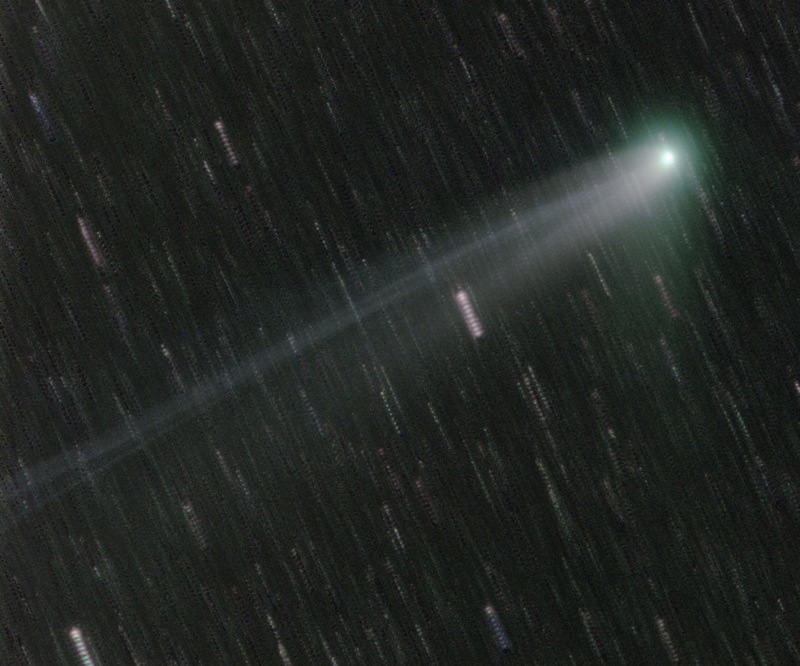 This is Comet C/2001 Q4 (NEAT), at a distance from the Earth of 0.34AU. The tail looks to be about 6 degrees long. This is a fast moving comet, notice how far it moved compared to the background stars in the hour it took to capture this image.